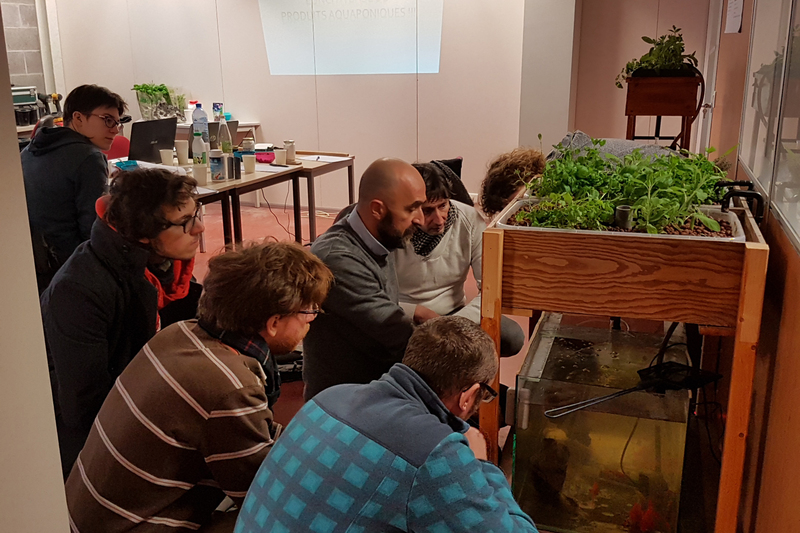 The main objective of AquaponieBxl is to move towards a productive city in healthy and sustainable food, reconnecting its inhabitants with nature and their food. To do this, AquaponieBxl uses and promotes a sustainable, innovative and ecological culture technique: aquaponics. It is a method of cultivation that combines the breeding of fish with the cultivation of vegetables, salads, aromatic plants in hydroponic so in water, without land. The advantages are numerous: the water circulates in closed circuit from where a water saving of 90% compared to an agriculture and a traditional pisciculture, the vegetables are local, of season, fresh, one can consume the fish (trout carp, for example) in addition to vegetable production, no addition of fertilizer, no pesticides, less maintenance than an earthen garden, less back pain.